Marlink, the global business critical communication solutions specialist previously operating as Airbus Defence and Space, has signed a long-term contract with French event organizer Maienga for another five years. The agreement made through Marlink’s dedicated ‘Events’ team covers provision of turnkey communication and tracking services for Maienga’s ‘Rallye Aïcha des Gazelles’, a 100% women-only off-road rally with more than 120 teams from 30 countries competing. Taking place in March every year, the rally transits 2,500 km in six legs across the Western Sahara Desert in Morocco, making reliable satellite and radio communication services a top priority for both logistics and safety. Marlink supports Maienga to provide a wide range of technology and services for Rallye Aïcha des Gazelles event staff, media, and competitor vehicles. Marlink has provided communication services for the rally for 25 years. Marlink’s responsibility as the turnkey communications provider for Rallye Aïcha des Gazelles is far-reaching. Its field engineers ensure the smooth functioning of all communication services deployed in the field, with Marlink satellite links used to enable Internet access for the organisers and media working in the camps. 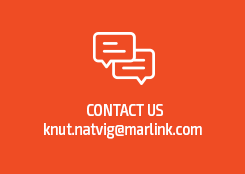 Marlink satellite connectivity is used to provide VoIP services at the rally control center and to offer recreational services to the competitors, enabling them to call home. Marlink also provides airborne radio networks for audio communications between field staff and the local control center. Two helicopters cover each leg transmitting duplex radio communications to fixed terrestrial relay stations. Organisational vehicles used by i.e. medical teams and assistance vehicles are equipped with radio receivers so that they can communicate with the HQ and be dispatched for prompt assistance to injured or stranded competitors. Tracking & safety services are provided by Marlink’s satellite-based Iritrack system and distress beacons are mandatory equipment to all racers. In addition to real-time tracking of competitors, Iritrack enables them to send alarms to HQ in case of emergency or make hands-free calls via inbuilt voice capabilities. Marlink field engineers are in charge of the technical maintenance of the fleet of tracking devices and assist safety and security staff to monitor the rally from the control center.